Page : livingLAB arrived in Petoskey, Michigan! livingLAB arrived in Petoskey, Michigan! 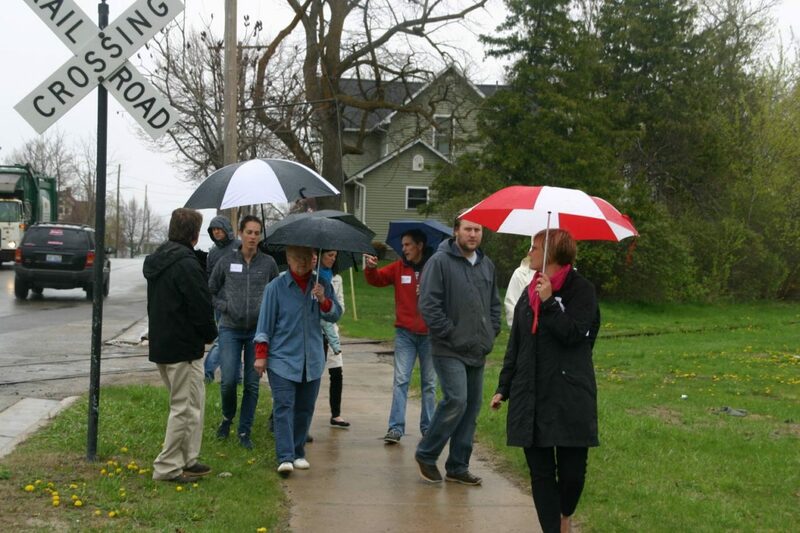 livingLAB arrived in beautiful Petoskey, Michigan to work this week with the folks in the Old Town neighborhood on making improvements to Emmet Street! The Emmet Street project will be run using livingLAB’s mobileLAB workshop over the course of 4 days and result in concept plans for the streetscape, greenway intersection and the four corners area. Residents are welcome to attend a variety of events over the course of the mobileLAB. Prev - Green Parking Lot and Public Space Coming Soon!